Kieran was born in the French Quarter in New Orleans and raised in Flint, Michigan. He was deeply influenced by his music-loving parents throughout his childhood. Kieran’s mother owned an independent record store specializing in Punk and New Wave music, his musician father had six-year-old Kieran filling in the drummer position in his impromptu jam sessions on a regular basis. Through this, he was exposed to an eclectic range of music from Cole Porter, Stevie Wonder, Frank Sinatra, and Billy Holliday to the Rolling Stones, Beatles and Muddy Waters which would leave a lasting impression him. Kieran has owned and operated The Buddy Project studio in Astoria, Queens since 2002. Some of the albums created at The Buddy Project include Sufjan Steven’s “Illinoise”, Julia Stone’s “The Memory Machine”, Farryl Purkiss’s “Home” and Angus & Julia Stone’s “Down The Way”. Kieran has earned Multi-Platinum records in Australia, France (Angus & Julia Stone’s “Down The Way”) and New Zealand (Midnight Youth’s “The Brave Don’t Run”) and Gold Records in the U.S. (Better Than Ezra’s “Friction Baby”), ( Sufjan Stevens “Illinoise” ) He produced, mixed and engineered original recordings that have appeared on ABC, NBC, CBS, FX, MTV, Showtime, The Sundance Channel and NPR. In 2007 Kieran was invited to speak in front of Congress representing independent labels in the congressional hearing for web radio royalties. He has designed sound for The Museum of Art and Design in Manhattan. 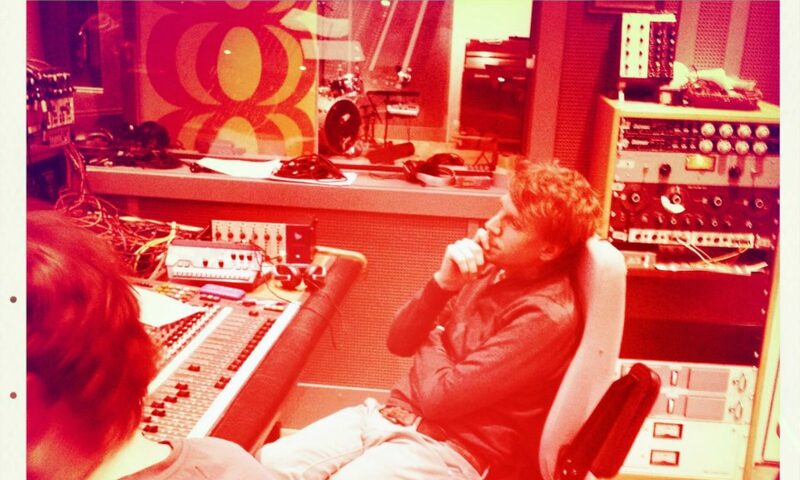 Kieran’s production and mixing for Angus and Julia Stone’s “Down The Way” in 2010 won 8 Australian ARIA awards. In 2014 he produced Farryl Purkiss’ album “Home” which was nominated for a South African SAMA award. 2015 had Kieran working on both sides of the globe producing Amsterdam duo Vonder And Bloom’s ” Follow You Back Home” as well as Melbourne Australia’s Hollow Drums debut. 2016 Saw “Cosmos” For Peruvian Rocker Pipe Villran named Rock Album of the Year by Peru’s La Republica. 2017-18 had Kieran working with Australian / Israeli singer-songwriter Lior as well as 4 time Grammy winner Kevin Max producing, mixing engineering and writing for their 2018 releases “Between You And Me” and “AWOL”.